The Taste of Europe Bistro offers guests a cozy ambiance with old-world dishes and powerful simplicity. 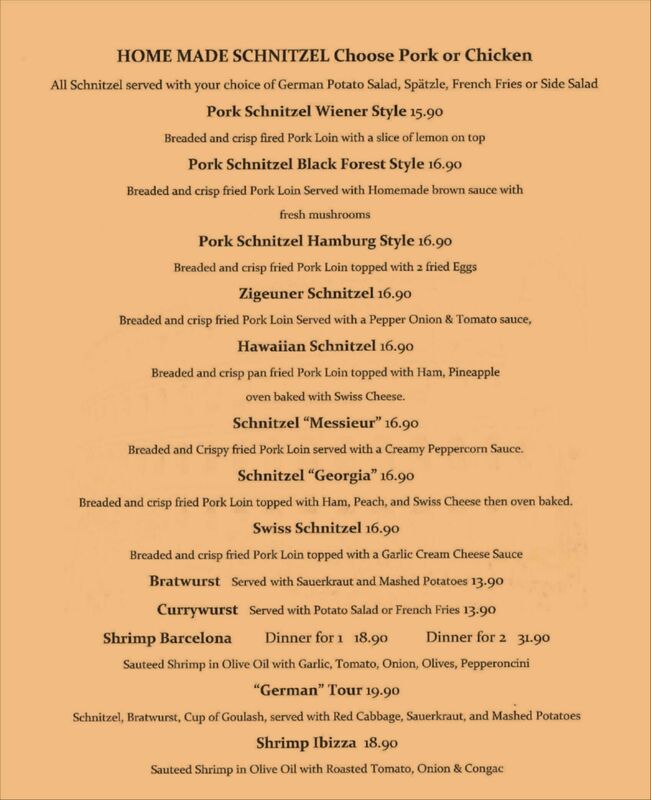 We are devoted to the warm, hearty flavors of Europe and Germany. Most of our ingredients are made in-house and from the foundation of the diverse traditional flavors featured on our menus. We also offer a wide variety of beer, wine, and specialty drinks. The Taste of Europe is a relaxing, cozy neighborhood Bistro where you meet for food, and drink. We invite you to visit the nice small town of Port Charlotte and welcome you to stop by our restaurant to dine and just have a good time. We are sure that you will enjoy the traditional European atmosphere and cuisine. Please join us and become one of our family! 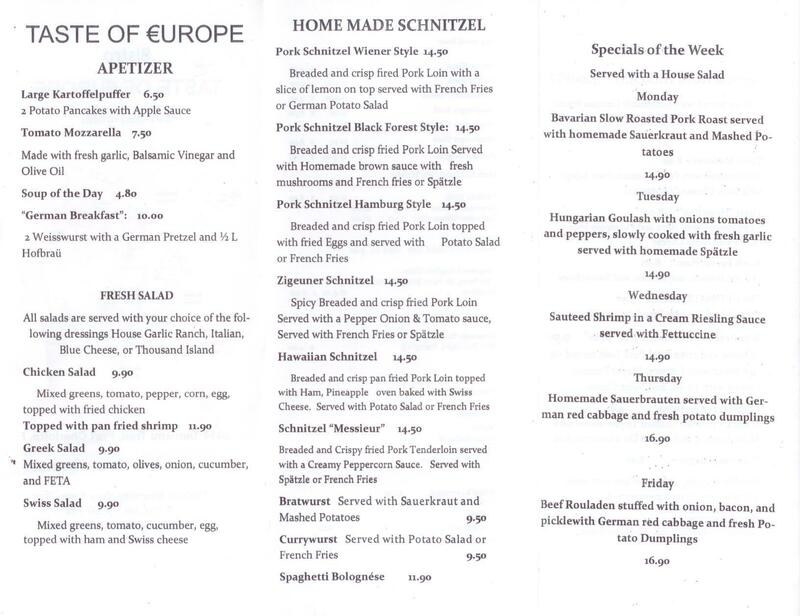 Copyright ©2019 Taste Of Europe Bistro. All Rights Reserved.